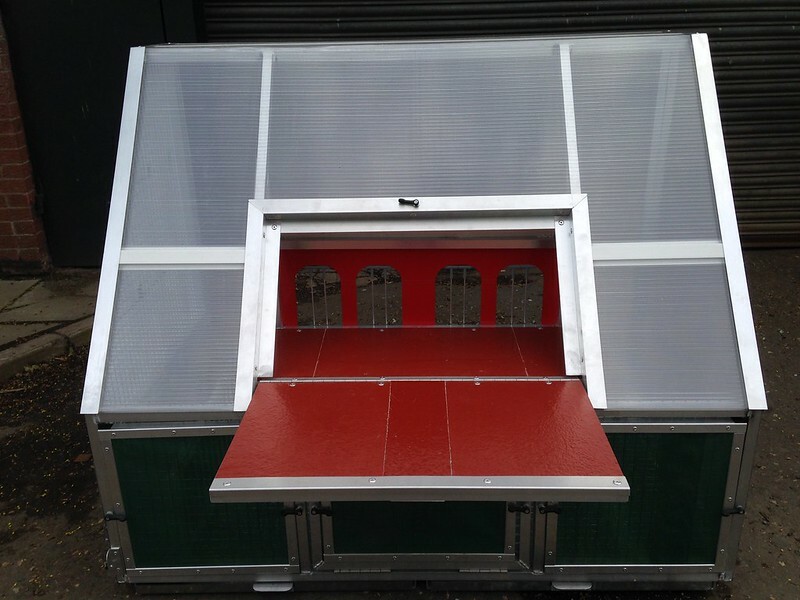 Aluminium, Polycarbonate, Fibreglass and PVC. 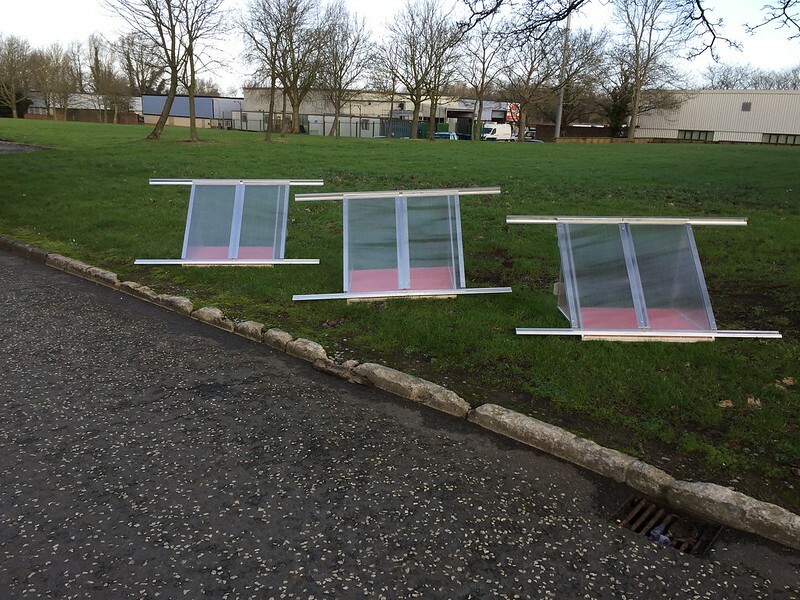 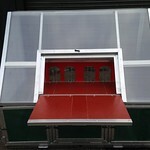 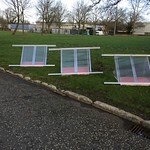 with a fold down landing board which is made suitable for any type of ETS system at your request. 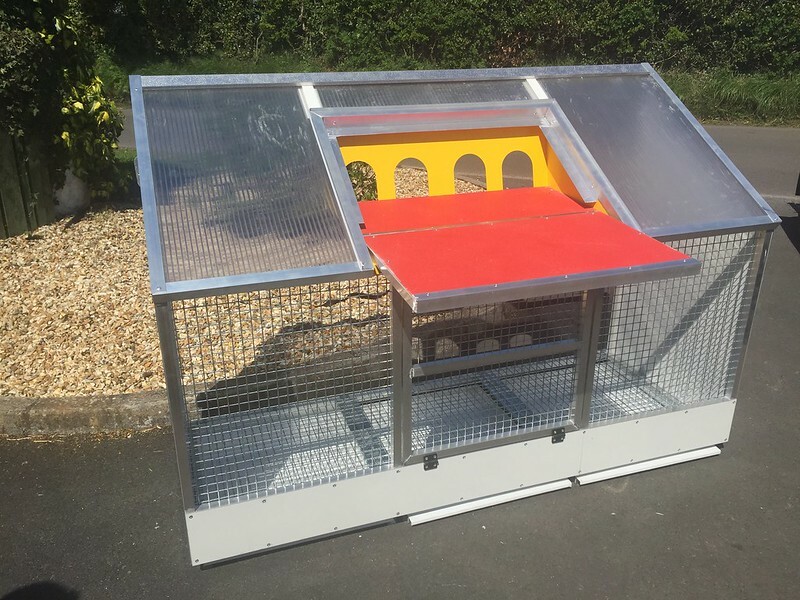 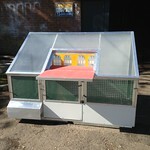 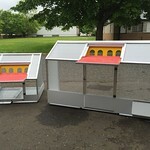 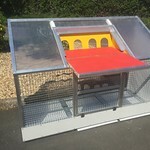 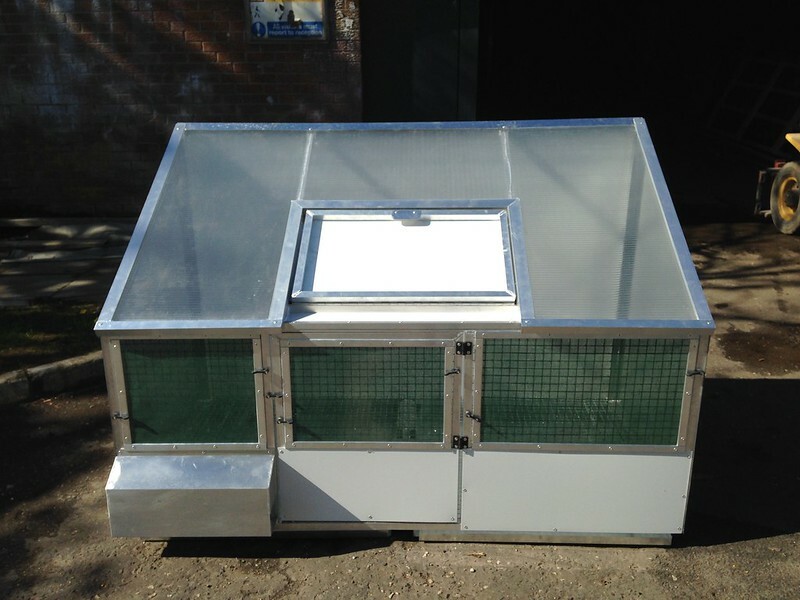 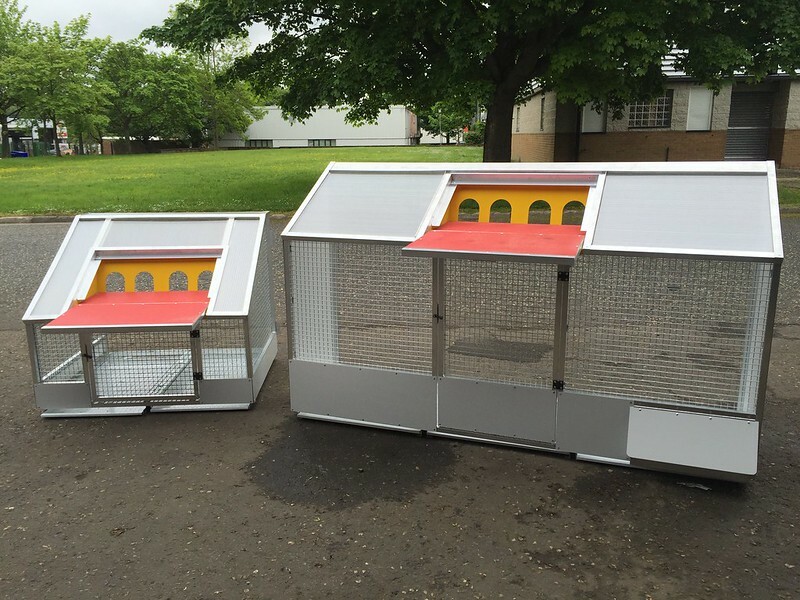 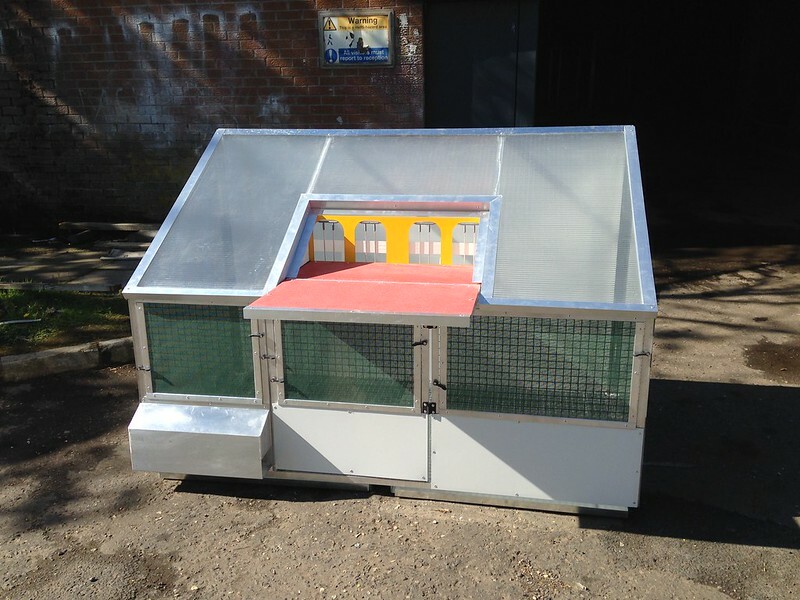 which comes in two sizes ( 900 mm long or 1200 mm long) This is a great trap that can also be used as a small aviary by putting the wire panel in the front when the doors are opened. 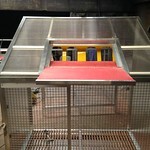 It is also a great trap for young birds and is used by some of the top lofts in Ireland and England! 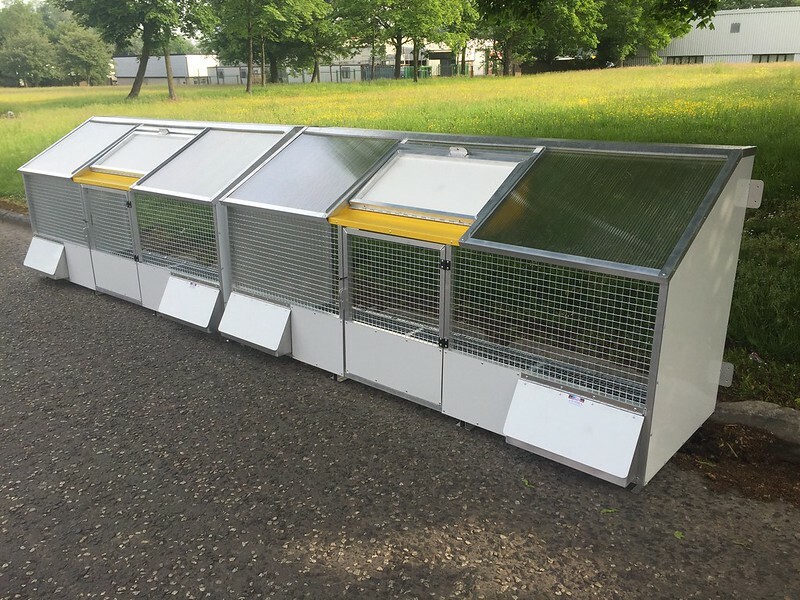 All the traps are manufactured to a very high standard for a long life duration. 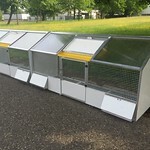 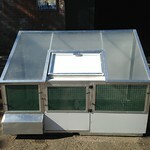 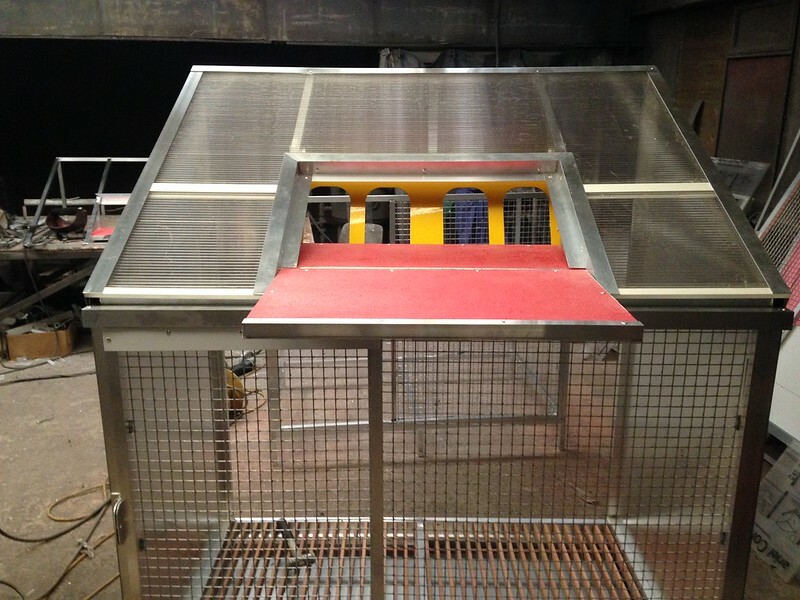 Universal Pigeon Products can also make traps to individual specifications.